Next Post The Multi-Era Pattern Giveaway! And I look forward to your vintage sewing projects and tutorials!! Best of luck with the move too!! Wow, your hits are too fab! Love them all! And your reflections are spot-on, too. The suspender skirt is so amazing! Lovely pieces! Aww, thank you so much! And thank you for visiting and commenting on my blog! 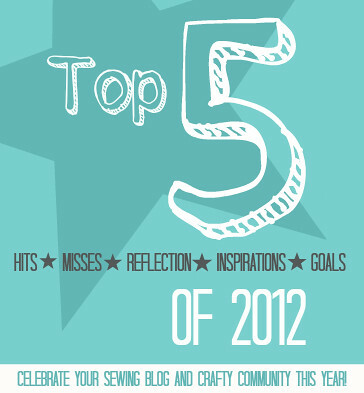 I love your top 5s! You crack me up about the top 5 fails. You are wonderful and and I grateful I stumbled upon you. Know I need to go check out those short stays you made! Oh my gosh, thank you for such a lovely comment! I’m glad I could crack you up, and good luck on your short stays!